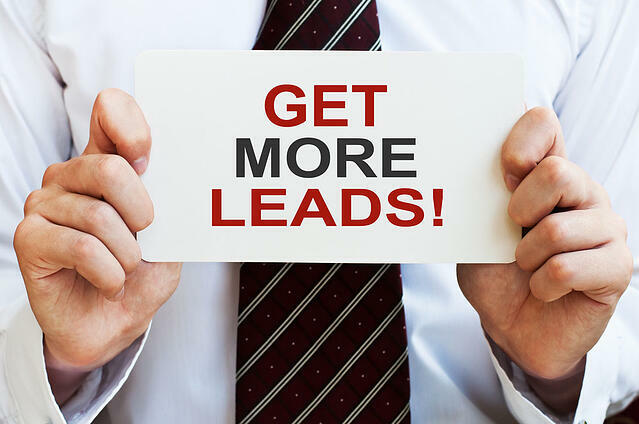 The crux of your business is getting those new leads. Without them, things would start going downhill real fast, right? As much as the real estate marketing industry is advancing, there are still some important traditional lead-hunting practices that have stood the test of time. Combine these with the today’s more modern practices and you are set to gather new leads from a variety of sources in your farmed area. In today’s digital space, the art of going door to door to meet neighbors or drop off marketing materials is often forgotten. For some, this is a fun change from sitting behind a computer sending emails. For others, it’s more anxiety producing. Just keep in mind, if you are door knocking you will be met with a variety of reactions, just remain positive, get your information out there and carry on with a smile! FSBO and expired listings are “the low hanging fruit.” In most cases (not all) owners will be interested in hearing how you plan to sell their home for the best value, and faster than they can (if FSBO) or faster than “the other guy,” for an expired listing. One thing to remember is that this is a competitive space, and you certainly aren’t the only agent reaching out to these leads, so be sure to separate yourself from the competition. Come to your meeting (or call) armed with answers to potential questions, full of confidence, and ready to explain why you are the right agent for the listing. Check out our FSBO infographic. Share it on Facebook to catch the attention of FSBO. Now back to your digital options! Networking on Facebook is one of the most effective (and relatively easy) ways to find new potential leads, but building that foundation of a relationship and nurturing it will eventually work in your favor when the lead is ready to move further down the sales funnel. Not sure how to convert these Facebook fans into leads? Join us February 20th for a free webinar where we explain how to do just that! Save your seat today. Featuring appealing and valuable content on your website is key to keeping leads coming back to you for the education process of their journey down the funnel. For this reason, our clients have what essentially equates to an entire real estate store, rather than just a website. This includes having tools on your Facebook page as well, including school and community reports, home value tool, and IDX on social or on their website. When you offer a “one stop shop” for your leads needs, they aren’t going to be navigating to any of your competition’s sites. If you have a website lacking any type of gated content, you are letting valuable leads get away. Z57allows agents to install lead capture on their website and based on each lead’s browsing behavior, the agent gains insight into what the lead is looking for and can better nurture them along the way. See a lead is looking at homes near local schools with 4 bedrooms? Use this as an opportunity to reach out and email a few other similar listings they may not have seen. Part of becoming the neighborhood expert, which really should be a goal for every agent, is being involved in the community. In addition to posting community events on social media, consider hosting your own local event. This meet-and-greet opportunity provides a fantastic way for you to get some face-to-face time with those in the neighborhood. The art of handwritten mail is often lost, especially for the generations that grew up knowing email as the main source of communication. While you might not want to do this for every lead, those that appear to be viable leads in your area can greatly benefit by getting a handwritten note from you. It’s a change from the everyday grind. Are you more likely to open an envelope addressed to you in actual handwriting or one that looks generically printed like a bill? Live chat is becoming increasingly popular this year. Why? There will always be leads that are interested in learning more but are intimidated by the idea of filling out a lead capture form. The idea of asking a question, however, is often more organic and a bit safer feeling. The biggest challenge for making this effective, is being certain that you make the time to follow up right away. Not only is Pinterest pretty fun, it’s a great way to show your personal style while connecting with potential leads. Think about some of the most engaging content that you put on Facebook. Is it an infographic, an image, an article? Create Pinterest boards and share this information with potential leads who are looking to educate themselves. Pinterest makes you come across more as a real person, not just a business. Did we leave out any of your favorite ideas for generating new leads? Let us know below!